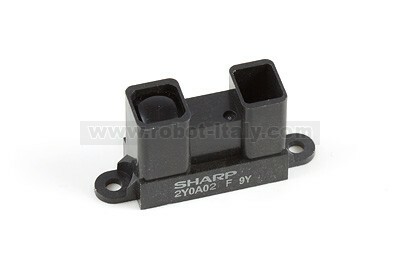 This popular sensor made by Sharp produces an analog output that varies from 2.5V at 20cm to 0.4V at 150cm. The sensor plugs in the 1101 - IR Distance Adapter using the 30cm interface cable that comes with the 1101. We also carry two other Sharp distance sensors for shorter distance ranges. 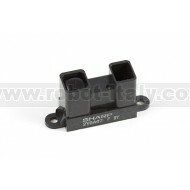 This popular sensor made by Sharp produces an analog output that varies from 3.1V at 4cm to 0.3V at 30cm.